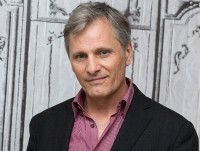 VM: "The older I get..."
Viggo Mortensen: "The older I get, the more tired I get of Hollywood." Walking, doing crosswords and gardening keep the actor sane in his Madrid apartment. Happy to ignore the rules, in his new film, Aragorn, plays an alternative father. Viggo Mortensen was so shy that he shot out of his first audition. "I was 12 or 13 when a friend of mine encouraged me to be an actor, something that had never crossed my mind. I was then living in New York and didn't know anybody. I went up on stage and read the first paragraph from David Copperfield. The only thing I heard before closing the book and fleeing from that inconceivable torture was 'Louder, louder.' And here I am!" confesses this unusual star. Now, at 57 years old, he's coping very well with having been nominated for an Oscar for Eastern Promises (2007), the fame that the role of Aragorn in The Lord of the Rings saga gave him or his brand new release with plenty of good reviews - Captain Fantastic (2016). That, as well as his passion for photography, music, poetry and painting, hobbies of a multifaceted actor who lives happily in Madrid with Ariadna Gil. A life for which this New Yorker with Danish blood, raised in Argentina, has turned his back on Hollywood. Can you describe your day to day life in Madrid for us? I like to get up early and take a walk, read a little, write. I also like to do the newspaper crossword puzzle. It reminds me of my grandmother who always did it and reached her 90s with a clear head. Then, although it embitters me, I confront the computer to see the news from Denmark, the United States, the United Kingdom, and of course, Spain. I have coffee with cream for breakfast while I listen to the radio, and get myself ready to face whatever the day brings. My days are, in general, pretty busy, but I try to take them calmly. Ah, I forgot! Before anything else, I take care of my plants. Your day sounds idyllic, but doesn't explain why Spain. The first time I came to Spain was in the 70's, perhaps earlier, with my father. We were going to Denmark, but he proposed a crazy journey around the country. I don't remember everything, although later I repeated it many times. I have always felt very at ease here, and knowing the language helps [laughs]. It's not the same Spain I knew back then. We can seem chaotic and shrill, but what is stressful for others for me is relaxing. Here people don't shout; they talk animatedly, convinced of what they are going to say. And that's something that makes me feel at home. And it keeps you far from Hollywood. I guess there's something to that. As I grow older, the more the industry makes me tired. I don't have the same energy. It depends on the film and many things. But I still like to be part of events like the Cannes Festival. They say it's the most important red carpet in the world! Clearly it's a great opportunity to be there. In the presentation in Cannes you described Captain Fantastic as a return to your childhood. It is familiar to me. I spent periods of time in a house in the middle of the forest, although we had electricity and even a phone. Not like in the film. But it's true that, when I sat down to read the script of Captain Fantastic, it made me laugh to see the story of that family. The liberal utopia they live in seemed very familiar to me. How is Viggo Mortensen as a father? I've spent a lot of time in the woods with my son, like my father did with me. We've gone camping and fishing. Never hunting, like my father used to do, but we spent a lot of time outdoors. There's no unique model of parenting. And, as hard as you try, there's always something you regret. There's no such thing as a perfect friendship, a perfect marriage, a perfect family or a perfect democracy. But we must try. My mother died last year. And the time comes when you start seriously thinking about death. Perhaps because I hadn't done it until now. I eat healthy, but I don't rest enough and maybe I should take better care of myself, because this world is utterly fascinating, people, nature...and I want to enjoy it as much as possible. At least while my mind is still in place. I say this because there's some dementia and Alzheimers in my family and I have seen its effects up close. Death doesn't worry me; it angers me. It's unfair. But there are so many things that are unfair! How do you get rid of this anxiety? Walking. If possible, through the woods. The city also works for me if it's early. Walking calms me down and sets my body and mind in motion. And gardening. Planting trees and seeing how they're doing a year later. It's like visiting your friends. Actually, I usually plant seeds from the places where I go. Maybe it's not legal, but hey, they are gifts from nature that I find in my pocket.